Somewhat less illuminated than the conventional application areas of force measurement, but no less important, is force measurement in the field of geotechnology. Here it depends, to a high degree, on know-how and experience. The term geotechnology combines aspects of geotechnical measures both on the ground and underground. Force measurement for geotechnical engineering can also be found, for example, in subsoil and ground anchorage, in rock shoring, road securing or road construction. Also in the excavation of subway tunnels, in the securing of foundations, but also in special civil engineering, such as tunnelling, instruments for force measurement are used. In between there are many other fields of application that require permanent or random monitoring of terrain structures and movements. In all these applications, ground anchors are used to stabilise the earth or rock mass. Anchor force measurement can be made with electrical or analogue output signals. Anchor force measurement concerns obtaining data that is important for safety optimisation as well as checking planning calculations. If terrain is moved for construction or safety-related measures, this data is, in many cases, indispensable. For this purpose, hydraulic force transducers – a cylinder-piston combination in steel or stainless steel filled with hydraulic media – with integrated pressure sensor and electrical output or with a directly mounted pressure measuring instrument (pressure gauge) are used. 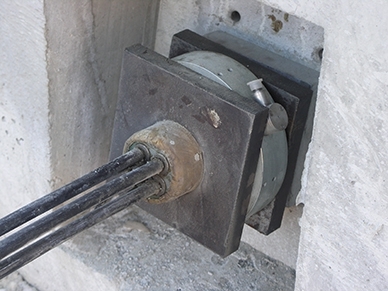 These are mounted between the concrete beam and anchor head to measure the preload force, but also for long-term force monitoring of the ground anchor. With the so-called “ring force transducers”, measurements of 4 kN up to 6,000 kN are carried out. For terrain that is particularly hard to access, autonomous systems are used that operate without a power supply. All geotechnical force transducers are designed for extreme conditions. 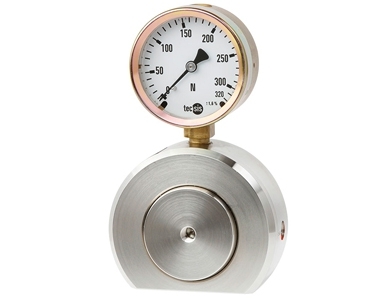 In addition, specially designed measuring instruments with corresponding accessories are available for the most diverse applications. Further information on our hydraulic compression force transducers (models F1119 and F1136) can be found on the WIKA website. For individual solutions, your contact person will be happy to assist you.